When it comes to passwords, we take different routes to make sure that our personal information is as secure as possible. To step things up a notch, we throw in the occasional special character into the mix as well. But, there are people who go the extra mile to skip all that and opt for a password that is absolutely ridiculous in terms of security and how easily it can be guessed. Think ‘12345’ and you’re not too far off. The takeaway lesson here is absolutely a simple one and something which everyone should follow: make sure that you have a password that does not match the ones above. And if you’re opting for a difficult to guess password and have a hunch that you’ll forget it at one point in time, then we recommend that you go for a password management service such as 1Password or LastPass. To top things off, we also recommend that you turn on two-step verification for the account that you’re using, which basically adds an extra layer of security on top of the regular login screen. While two-step verification might prove to be annoying for a lot of users, but hey, it will save you from a lot of trouble in the future in case your account or password gets compromised. A weak password can lead to the disaster of your digital life in many ways you can’t even imagine, and we highly recommend that you go the extra mile to make sure that things are as tough to guess as possible. After all, most of us have chosen to live our lives online, with majority of our photos living in personal spaces such as Facebook, iCloud, Google Photos and whatnot. And you definitely do not want to secure those spaces with a password like ‘12345’ do you? Of course you don’t. 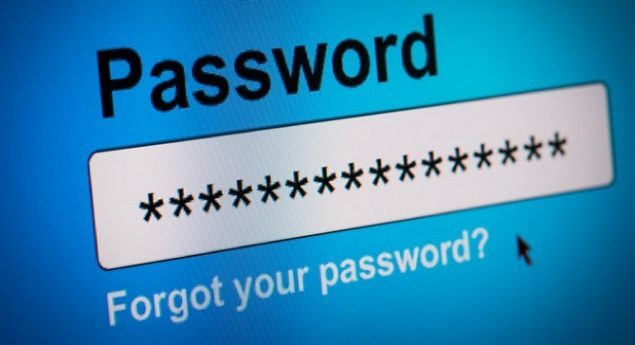 Be sure to let us know in the comments section below which password you think is the most ridiculous from the list above. Wccftech Deals – TigerVPN Lite Lifetime VPN Subscription, Why Leave Yourself Vulnerable?